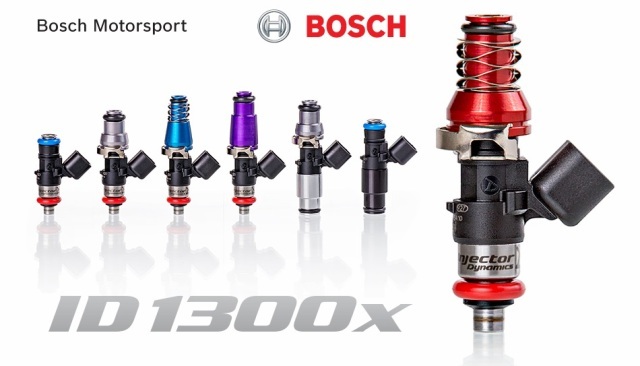 Without contest, the ID1300x Fuel Injector is the premier 1300cc Fuel Injector available. With enough flow to produce well over 2000 horsepower on Gasoline and over 1500 horsepower on E85 with a V10 even at 3bar fuel pressure, these can fuel just about any major build- and they will idle as well as a stock injector while doing it. All this, without the need and hassle of setting up a Peak & Hold injector configuration on your car. -Stronger magnetic circuit offers stable operation up to 6 bar.